On Monday, April 2, Canucks Captain Henrik Sedin and Assistant Captain Daniel Sedin announced their retirement. They played their last game on April 7 — just five days later. Having played 17 seasons in Vancouver, many of The Ubyssey sports writers grew up watching them dazzle this city. We became Canucks fans as they became Canucks leaders. It's only fitting to pay tribute to them in the best way we know how. Shortly after the Canucks were devastated in the final game of the Stanley Cup playoffs in 2011 (I’m still devastated), I attended a home game against the Chicago Blackhawks with my cousin during the height of the Canucks-Blackhawks rivalry. We were still bickering about whether Cory Schneider or Roberto Luongo was the better goalie. The stakes felt higher for this game than just the joy of seeing the Blackhawks lose. It felt like the Canucks needed to reassert themselves over the Blackhawks even after eliminating them in the 2011 playoffs, and to silence the decidedly wrong Sedin critics. A close regulation became a tense back-and-forth overtime. I hadn’t wanted my team to win this badly since Game 7 against Boston. The overtime winner was just about as classic a Sedin goal as you can get, with Daniel taking a perfect pass in front from Henrik. Even with my view from the nosebleeds, it was beautiful. The Sedins scored a lot of goals like that, but this is the one that sticks out. It encapsulated what the Sedins did for the Canucks, both with their skills on the ice and their ability to meet challenges with humility and poise. This may seem counter-intuitive, but the Sedins’ retirement has given me more hope for the future. If any of the young players with the Canucks imitate a fraction of the example set by Daniel and Henrik, this team will be in good shape in no time. Every year someone looks at the Canucks roster and says something along the lines of “Man, the Sedins sure are getting up there, do you think they retire this year?” I always shake my head and smile. You fool, the Sedins can’t retire this year, they’re ageless wonder twins. Three things are for sure in this life: death, taxes, and one Sedin making a drop pass to the other so far off-camera that you think he lost the puck, only for it to be buried into the back of the net — the competition for who feels stupider is between you and the opposing goalie who’s still staring at the first Sedin. People always liked to joke that the third person on the Sedins line became the “triplet.” That was never true; the triplet was always Vancouver. Henrik, Daniel and Vancouver. The three are one and the same, identical and inseparable. I took for granted every slap pass, every no-look feed, every time John Shorthouse said the three words “Daniel,” “Henrik,” “scores.” I expected it to go on forever. It’s hard to say thank you because it doesn’t feel like enough. These two found a way to balance sports, philanthropy and family in the most admirable way. Daniel and Henrik embody where hard work can take you. They showed this city how to be great. The lights turn down at Rogers Arena, and the familiar sound of U2’s “Where the Streets Have No Name” rings out. The horn sounds, the lights dance across the stands and the starting lineup steps onto the ice: Alex Burrows, and Henrik and Daniel Sedin. That moment, with that lineup, is how I learned to love hockey. It’s how I realized how much I wanted to be a part of those moments, and tell the stories of sport. But it was more than just the intro, it was those names too. Henrik and Daniel were my idols. Initially, it was because they were some of the only twins in sports that I recognized, and I related to that with my twin sister. But as I grew up, and they continued to be a part of this city, I looked up to them because of their humility, their class, their leadership, their coolness under pressure and their never-ending appreciation for the city I loved too. Through the Canucks' highs and lows, they have been here. Through the 2011 Stanley Cup run, and through the riot. Through the years of the West Coast Express. Through the changing of the guard and this new, young lineup finding their place in the city, they have been here. The Sedins have been an inspiration and guiding force for the Canucks like no other. 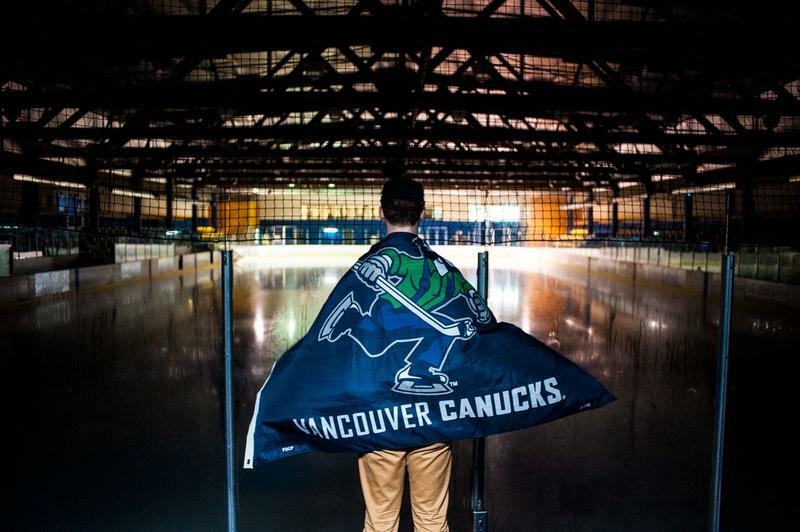 Vancouver isn’t just seeing two athletes leave Rogers Arena. They are seeing two of the city’s most celebrated and loved people take their final bows on the stage they have owned for so many years. Thank you, Henrik and Daniel, for teaching me what it means to love sport. And for showing me what it truly means to be a Vancouverite. I remember Henrik’s Art Ross, then Daniel’s, thinking, “This is it.” I remember the run. I remember the grace and class through “sisters” and “soft.” I remember screaming at the TV, feeling all the rage they couldn’t. I remember turning it off with a minute to go because I couldn’t bear to watch 63 lift the cup. I remember the heartbreak, the riots, the decline, the Tortorella, the Real Good Willie, and through it all, Hank and Dank, day in, day out, etching their place in the Hall of Fame, mentoring the next crop of Canucks stars, and being really, really, really good people. Hockey will feel empty without the Sedins, but their influence will be remembered — by the team, the city, and anyone who watched them play — as long as their numbers hang in the rafters.